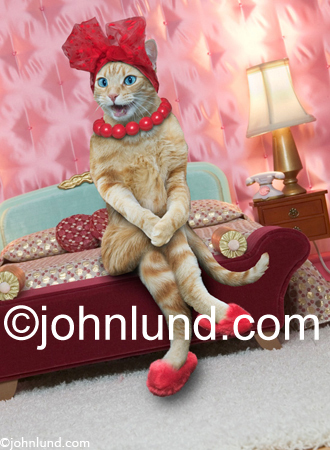 This funny cat sitting on a bed wearing slippers is now available for personal use licenses. In my endless effort to create additional photography revenue through the Internet I have taken another step. I have created a limited gallery of images on Photoshelter to take advantage of their “Personal Use Licenses” and photo imprinted products. I am using my Animal Antics collection of funny pet pictures, and only ones that are not currently handled by stock agencies. My initial gallery can be viewed here. Photoshelter does an admirable job of conveying information about SEO and other topics important to photographers. But I am not expecting Photoshelter to bring in much traffic. I suspect that search engines such as Google see them as a “content farm” and therefore do not rank them highly in image searches. I could be wrong, and as much as I have learned about search engine optimization over the last three years, I still don’t comprehend the whole process of how Google and others determine the search engine results. I don’t believe anyone outside of the search engine companies really know all of the ins and outs of ranking highly for web or image searches. My plan is to use the traffic I generate from my own site and offer those who find the images concerned (my Photoshelter collection) the opportunity for personal use such as non-commercial blogs and websites, student uses and so forth as well as photo imprinted products, by providing links to the Photoshelter collection. The solution isn’t terribly elegant, but it is better than nothing at all…a lot better! It is also important that I have the system work without my being involved. I get quite a few emails from students and others who wish to use my images for a variety of purposes that do not justify enough of a licensing fee to even pay for my time to read the emails! Hopefully this can relieve me of some of that problem while still generating additional income. Since I am paying something like $29.00 a month for the Photoshelter account I view this as a one-year $350.00 experiment. Actually, just putting up the images takes up more of my time than $350.00 would pay for…by a considerable amount. But as they say, nothing ventured, nothing gained! Hopefully that money (and time) will be rewarded sufficiently by a combination of personal use licenses and products including mouse pads (with cat pictures), coffee mugs decorated with silly dog photos, and t-Shirts for animal lovers. We will see. I might add that this effort is supplemental to my ongoing CafePress.com experiment which also offers funny cat and dog pictures on a wide variety of gifts and photo-imprinted products. I have started with 30 funny animal pictures; cats, dogs and other animals in human-poses and situations virtually all of which were created originally for greeting card use, but that can also be used for advertising and editorial purposes. 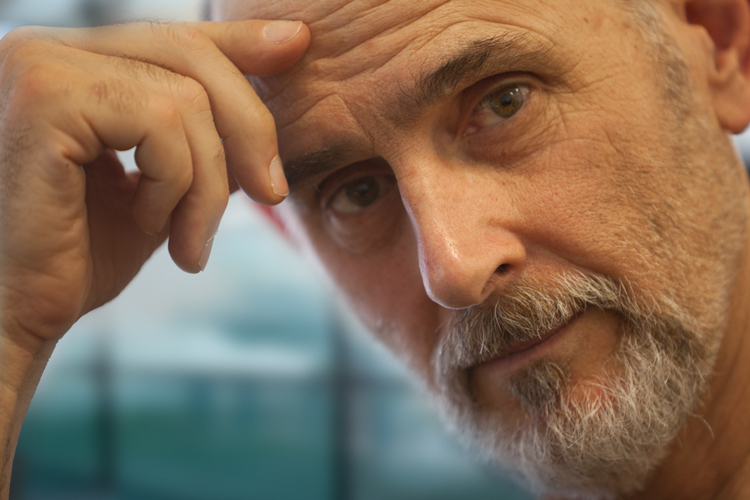 I would love to see stock agencies offer personal use licenses as well. Perhaps some do and I am just not aware of it. Microstock agencies perhaps? However, with these images, because I have an exclusive contract with one greeting card company, I cannot offer them in the Royalty Free and Microstock venues, they have to be Rights Managed stock photos. Welcome to Photoshelter. I have been with them several years. After that if Digital Railroad collapsed. It seems Photoshelter does not generate a very good traffic. Your traffic comes probabaly via your blog and then smb. can purchase a files from Photoshelter site directly without you. A PS takes a revenue about 8 % if I remember correctly. A customer can pay directly to your bank account too, via PayPal which is very easy to use. But Americans does not use a Paypal very much.